Alliance artists continue to break ground on the world stage, with Mavado and Serani once again being given the nod at a prestigious international award show. 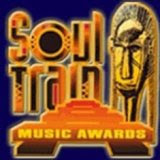 The 2009 Soul Train Music Awards has recognised both artists in the Best Reggae Artist category. They are in great company with Ziggy Marley, Sean Paul and the torch-bearer of Jamaican conscious music Taurus Riley rounding out the nominee list. After being on hiatus the past couple of years, this year's show will be taped at the Georgia World Congress Center on Tues., Nov. 3 and then air on both BET and Centric (the channel formerly known as BET J) on Sun. Nov. 29. The lineup of performers includes Trey Songz, Ryan Leslie, Chrisette Michele, Ledisi, Brian McKnight, Melanie Fiona and many, many others. This year's show will honor the careers and musical influences of Chaka Khan, Charlie Wilson, L.A. Reid and Kenny "Babyface" Edmonds. The news comes on the eve of the release of Serani's debut album "No Games," in stores an available on Amazon and all online music stores as of October 27.